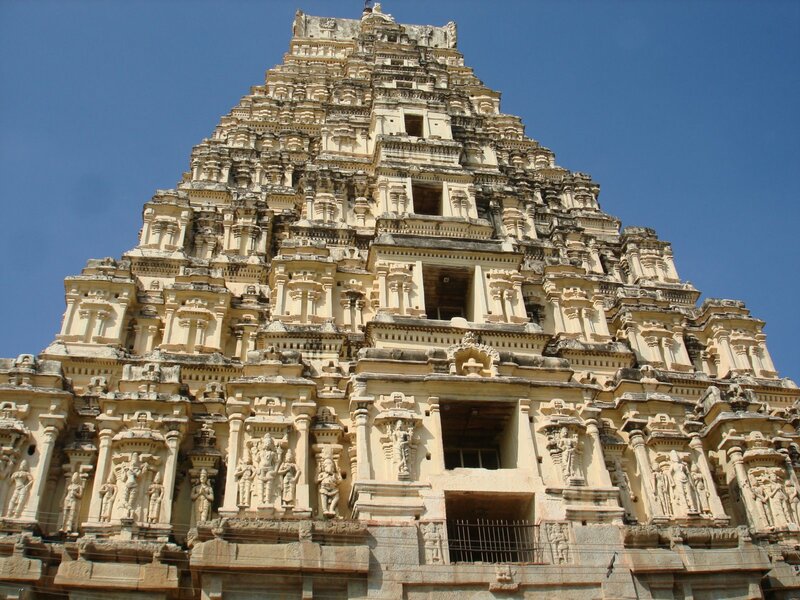 Virupaksha temple is one of the most important temples of Hampi that is dedicated to Lord Shiva. 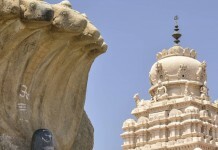 The temple is located close to the Tungabhadra River. 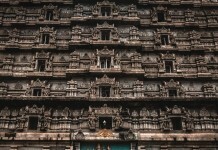 The architecture of the temple is so amazing that one can gaze at its beauty for hours. The rich carving of the temple offer an insight into the religion of the people who lived here. 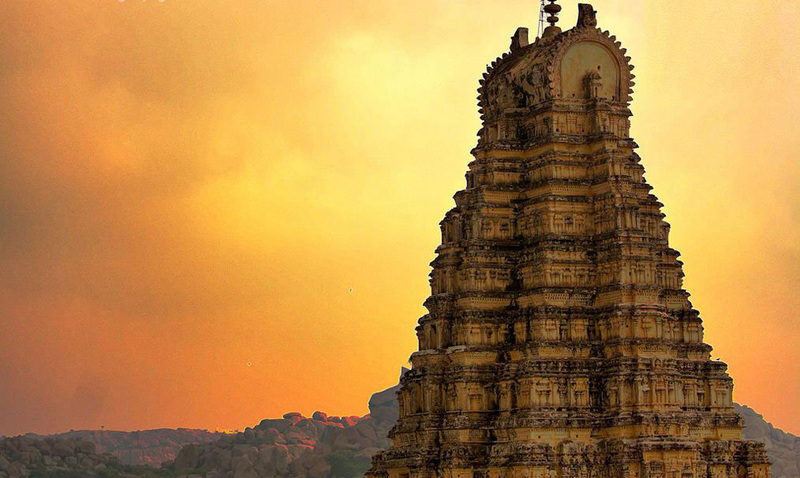 The Virupaksha temple is dedicated to Lord Shiva and is renowned as one of the most sacred temples in Karnataka. 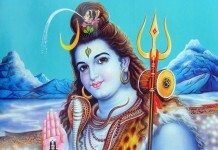 Virupaksha is an avatar of Lord Shiva, and among all the surrounding ruins, this temple is intact and is still in use. 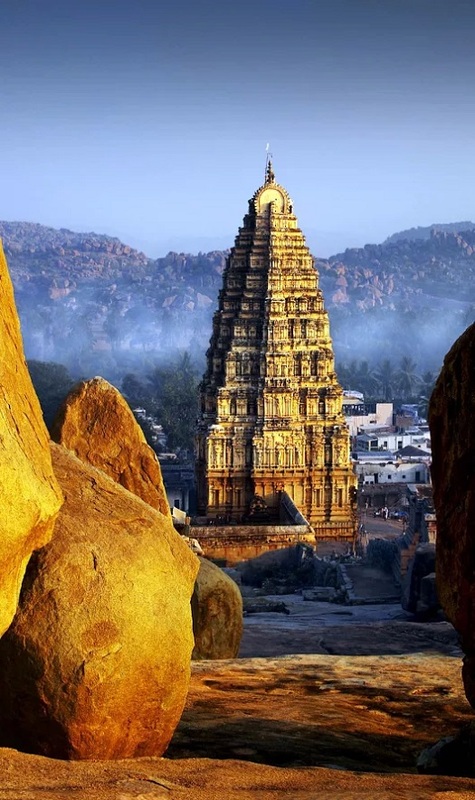 Hampi is located on the banks of river Tungabhadra. This temple has ancient inscriptions which date back to 9th and 10th centuries. Originally it was a small shrine, and the sanctuary of Virupaksha–Pampa existed prior to the commencement of the Vijayanagara Empire. 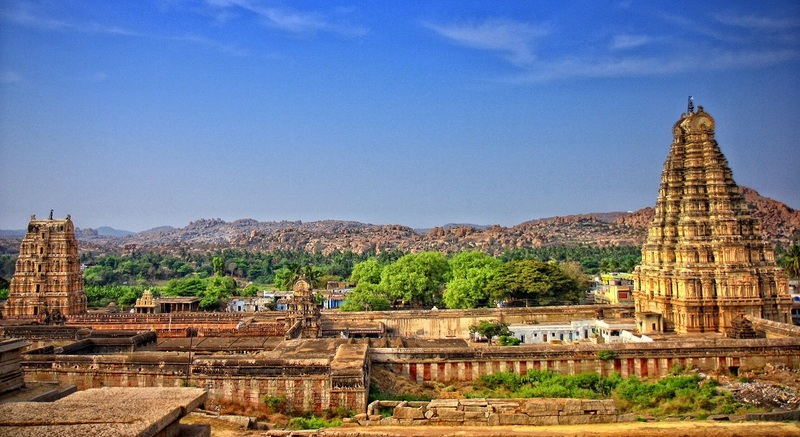 However, the Vijayanagara rulers were responsible for building this small shrine into a large temple complex. Although most of the temple buildings were constructed during the Vijayanagara rule, some were also erected during the late Hoysala and Chalukya empires. Major renovations and additions were carried out in the 19th century and gopuras(towers) were established and ceilings painted during this time. At present, the main temple consists of a sanctum, three chambers, a closed pillared hall and an open pillared hall. A pillared cloister, entrance gateways, courtyards, smaller shrines and other structures surround the temple. The nine-tiered eastern gateway, which is the largest at 50 meters, is well-proportioned and incorporates some earlier structures. It has a brick superstructure and a stone base. It gives access to the outer court containing many sub-shrines. The smaller eastern gateway leads to the inner court with its numerous smaller shrines. A narrow channel of the Tungabhadra river flows along the temple’s terrace and then descends to the temple-kitchen and through the outer court. 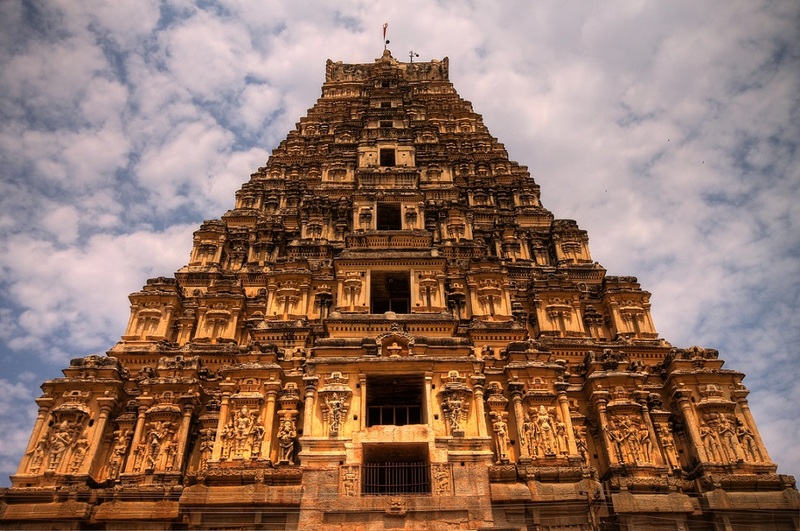 Krishnadevaraya, one of the famous kings of the Vijayanagara Empire was a major patron of this temple. The most ornate of all structures in the temple, the central pillared hall is believed to be his addition to this temple. So is the gateway tower giving access to the inner courtyard of the temple. Inscriptions on a stone plaque installed next to the pillared hall explain his contribution to the temple. It is recorded that Krishna Devaraya commissioned this hall in 1510 AD. This temple has ancient inscriptions which date back to 9th and 10th centuries. Originally it was a small shrine, and the sanctuary of Virupaksha–Pampa existed prior to the commencement of the Vijayanagara Empire. However, the Vijayanagara rulers were responsible for building this small shrine into a large temple complex. Although most of the temple buildings were constructed during the Vijayanagara rule, some few were also erected during the late Hoysala and Chalukya empires. Currently, the Virupaksha Temple consists of an open pillared hall and a pillared hall, three ante chambers and a sanctum. Some other structures surrounding this temple are entrance gateways, pillared cloisters, smaller shrines and a courtyard. The gateway located at the east is nine tiered and is the largest among all the gateways at 50 meters. It incorporates earlier structures and is proportionately constructed. The stone base is two tiered and the superstructure is made of bricks. You can access the outer court containing many smaller temples from the eastern gateway. You can pass through the smaller eastern gateway to the inner court and visit a plethora of small shrines located there. The temple has been so constructed that the river Tungabhadra flows along its terrace, descends to the temple kitchen and passes through the outer court. The central pillared hall is the most ornate structure and it is believed that this was added by the famous Vijayanagara emperor Krishnadevaraya. The hall was commissioned by the Emperor in 1510 A.D. Stone plaque inscriptions provide a detailed account of the contribution of the Emperor to the Virupaksha Temple. Devotees throng to this temple in December every year to attend the betrothal and marriage ceremonies of Pampa and Virupaksha. Another festival which is held in February is the annual chariot fete. VIRUPAKSHA Temple is the largest and grandest of all the Temples in Pattadakal. 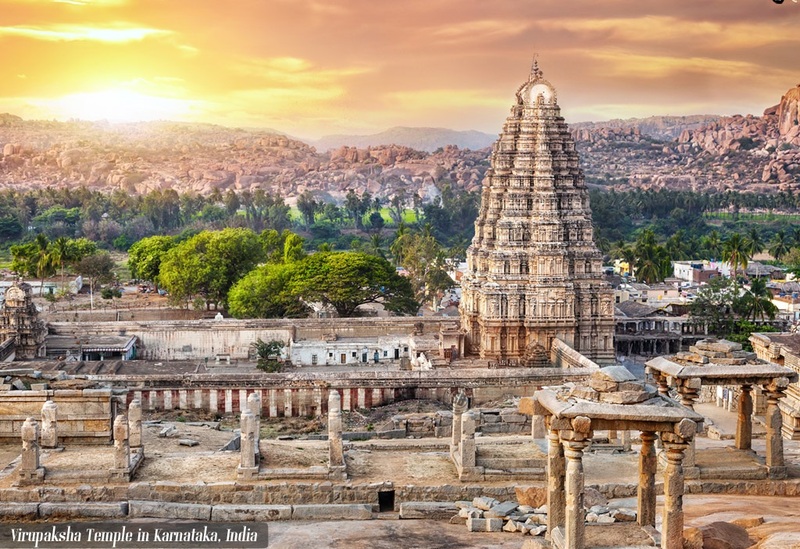 It was built in the 8th century by Queen Lokamahadevi to commemorate her husband Vikramaditya — 2 victories over the Pallavas of Kanchi. The Temple has rich sculptures. It has a sanctum, pillared navaranga and triple entrances from the north, east and south porches. It has a massive gateway in front from the east. The 9-tiered tower is about 50m high. Commissioned in the early 16th century, it stands as the only unspoilt structure in the middle of the vast ruins of an ancient city.